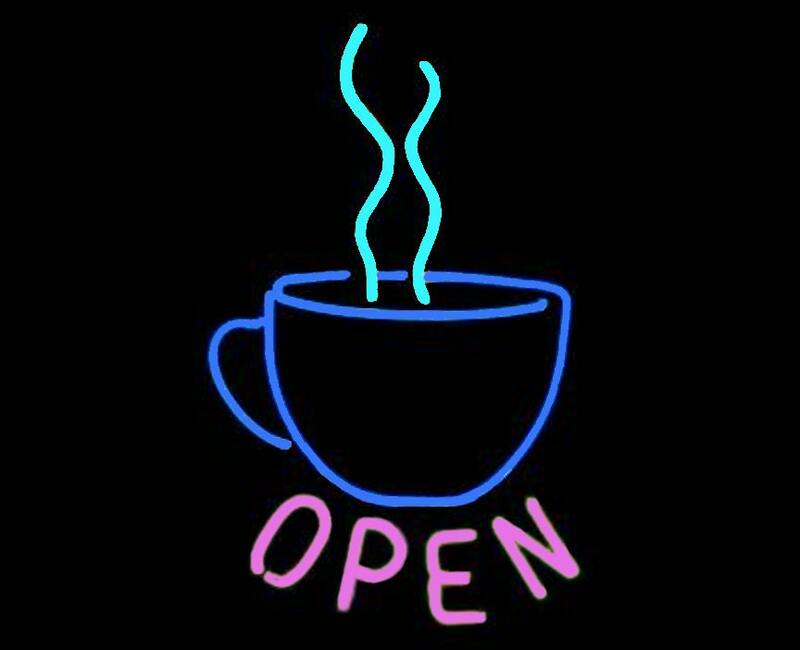 Coffee 'OPEN' Real Neon Sign for Window or Wall. Great for Home or Business Java Neon Light Neon Art FREE SHIPPING!!! 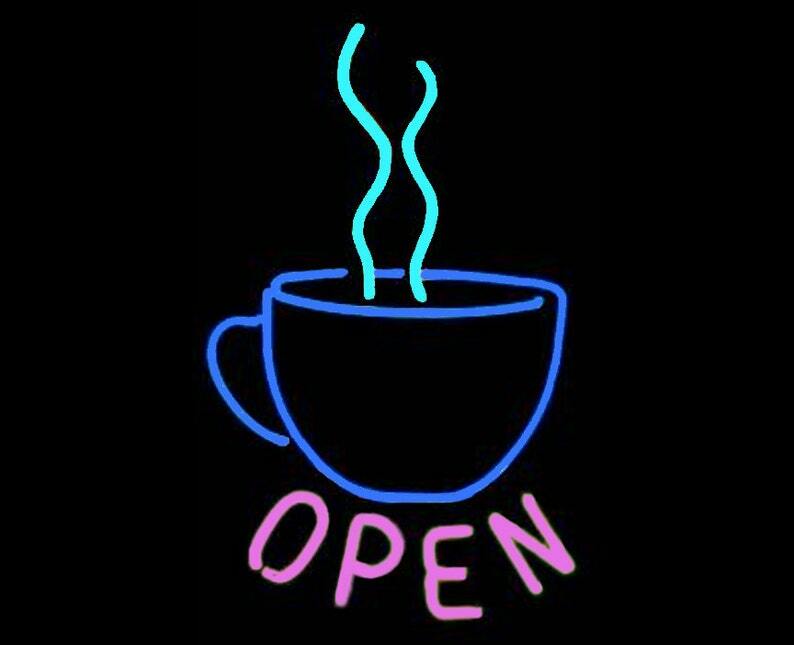 Coffee 'OPEN' Real Neon Sign for Window or Wall. The neon tubes will be mounted to an 22" high by 14" wide black backing. Also available on a clear backing; please contact me. A stunning statement for your home or office. It hangs on the wall like a picture, and plugs into a standard outlet. There is a line-cord on-off switch on the power cord. This piece is hand made by me here in Southern Arizona, and is signed. This piece ships in approximately 3-4 weeks. 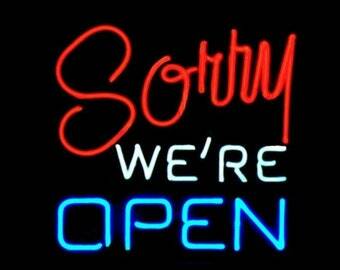 Neon Sign - "Sorry We're Open" Hanging Real Neon Sign for Window or Wall Made in USA FREE SHIPPING! Lobster Handmade Neon Art Wall Hanging Modern Design Seafood Mariscos Sculpture FREE SHIPPING! Cherries Real Neon Handmade Cherry Wall Hanging Art Sculpture FREE SHIPPING!